A blend of Caribbean Rums. 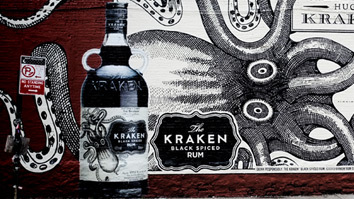 Old fashioned jughandled bottle with the legend of the giant Kraken on the bottle. The exotic taste of spiced rum. Serve in any of your favorite Rum based cocktails.